Set the over-edge thread length - at the twist of a knob. 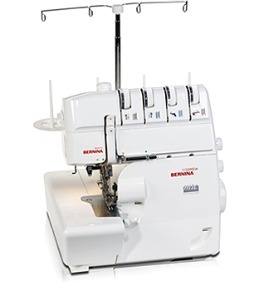 A serger with a chainstitch, four coverstitches and four combination stitches (chainstitch/overlock stitch). 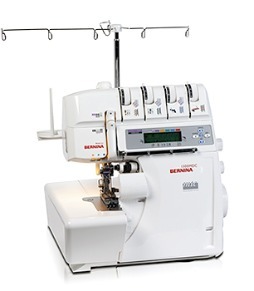 A serger that's truly simple to thread. With a wide variety of stitches, this solid performer is about keeping serging fun . . . right down to the last detail. But it's not just technical refinements that make these world-class sergers. Their creative potential, fast sewing speeds and versatility are all things to be proud of. 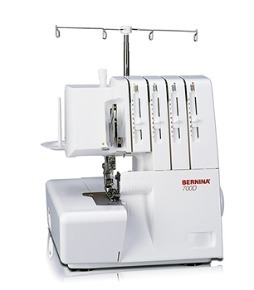 The BERNINA 0009DCC is also great for sewing home dec and craft projects as well as for embellishing with decorative threads. And the best part is - there's no need to convert from regular serging to chain or cover stitching. 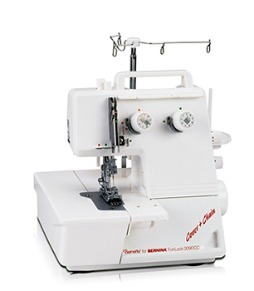 The 009DCC is always ready to complement your BERNINA sewing machine and serger. 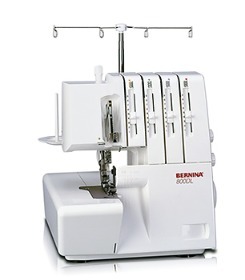 This easy-to-use machine has the ability to sew using a 2-thread, 3-thread or 4-thread stitch. It can handle all types of fabrics - everything from fine silks and satin to denim, fleece and stretchy fabrics - with the greatest of ease. A differential feed keeps seams smooth and flat. The built-in rolled hem feature is yours at the flick of a switch. And using the right or left needle gives narrow and wide options of most of the serger's many stitch formations. You'll sew like a pro in no time.